Wits University has a new Varsity Cup queen. 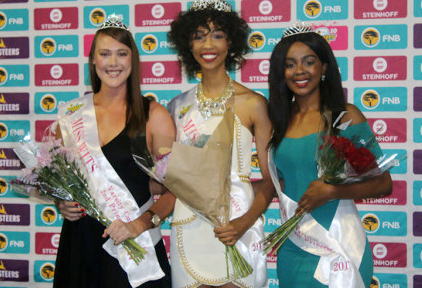 Biomedical science student Palesa Lombard is the new Miss Wits Varsity Cup. The 18-year-old first year Witsie was crowned at Monday night’s Varsity Cup match between Wits and the University of Cape Town (UCT). Lombard will join the winners of other campus competitions in the national Miss Varsity Cup finals in the middle of next month. Lombard says she intends to start up a sanitary pad drive at Wits University for easy accessibility for females at the university during her term as Miss Wits Varsity Cup. First princess, Tumi Pitswane said that she is proud to have finished where she did in the competition and she is also “so proud of Palesa”. The second princess was Rhode Potgieter,a 4th year BEd student. Wits Vuvuzela, No foul play was found in Miss Wits Varsity, April 2014.